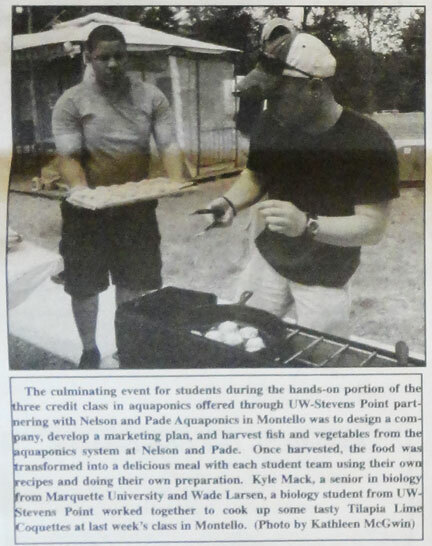 MONTELLO – Very few people even know what aquaponics is, but students who recently completed a unique college course in the system that melds hydroponics with aquaculture will find themselves big fish in an equally be sea when it comes to finding jobs. 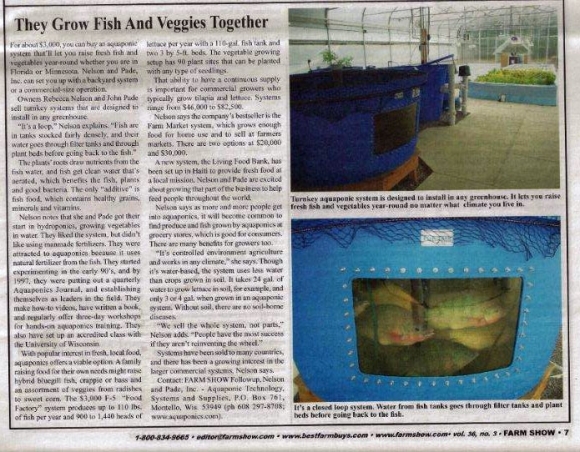 “We could employ several of them right now, said Rebecca Nelson, one of the course developers and a principal in Nelson and Pade, an aquaponics technology, systems and supplies business in Montello. 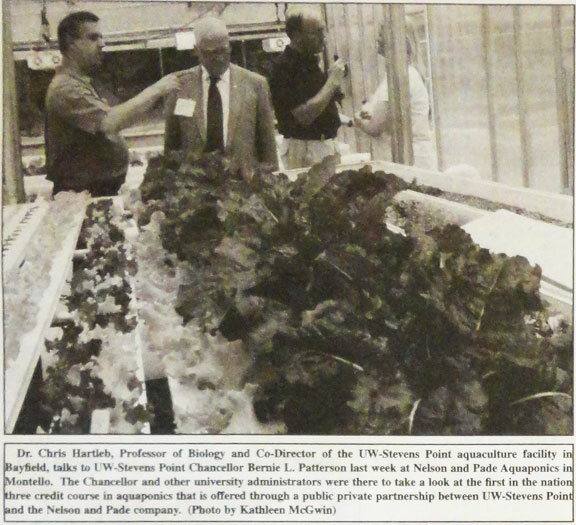 Twenty-seven students graduated from the first-ever hybrid, full-semester, three-credit college course developed as a partnership among Nelson and Pade and UW-Stevens Point’s biology department and the Northern Aquaculture Demonstration Facility. 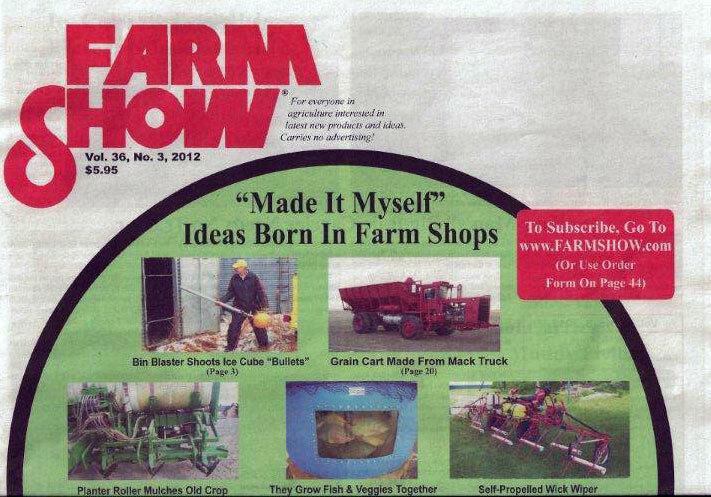 FARM SHOW magazine Features Nelson and Pade, Inc.
FARM SHOW magazine, Vol 36, no 3 featured Nelson and Pade, Inc. on the cover and page 7.